• How effectively did your business achieved the goals that were established for the year? 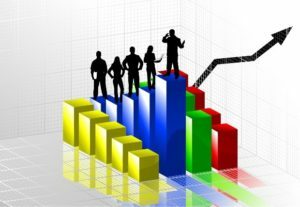 • Did you achieve or exceed your desired level of profitability? Will your business model be sustainable in future years? • Are you building your business value at the pace that you want? Have you developed an updated plan for 2019? • Is your team functioning at the level that you need to achieve next year’s plan? • How do you ensure that your people, systems and processes are reflective of how your company needs to operate in current markets and economic conditions? • What have you done to develop and maintained enough organizational depth and cross training to ensure effective operations in the event of key employees leaving? • Where have you established strong partnerships with your customers and suppliers? • How have you defined or identified the next big offering is to help you remain competitive in the markets you operate in? How are you developing this opportunity? • How are you addressing potential liabilities that may not affect you today but can in the future? Headway Strategies Consulting is offering a complimentary initial discussion on your current performance and future plans to a select number of businesses on Boston’s North Shore. In addition to this discussion you will receive a copy of Headway Strategies’ “The Compass Approach” a handbook to managing your business around the 4 points of the compass. Please complete the request form below to schedule an initial discussion session.